We send some of the whisky world’s great and good to a desert island. What will they decide to take with them? Kristy is the daughter of Australian distilling legend Bill Lark and has been involved in the distilling industry for more than 20 years. She started in the cellar door of her parents business, Lark Distillery when she was 17. She worked her way up through the business to become head distiller. She learnt the art of whisky production from her father, Bill and the finesse of gin and liqueur production from her mother, Lyn. 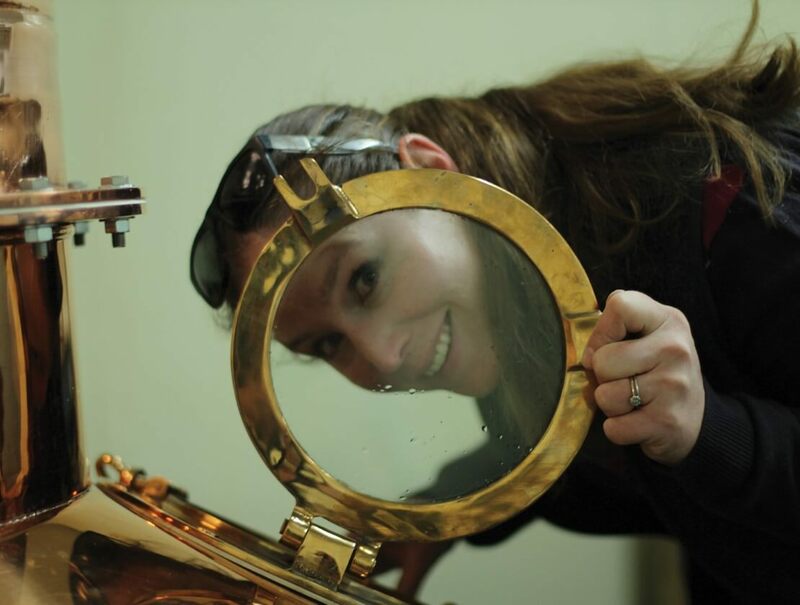 While head distiller, Kristy produced award winning whisky as well as managing all the production of their other spirits. In 2013, Lark Distillery was sold to a group of investors. This gave Kristy the opportunity to open her own distillery, Killara Distillery which is the first Australian distillery to be fully owned and operated by a second generation Australian distiller, and a female! The passion her father has for the industry rubbed off on Kristy as she is a huge advocate for not only the industry but the women in the industry which is why she started the Australian Women in Distilling Association. Well the obvious choice, when you get to make your own whisky of course you are going to think it’s the best! Smooth and rich with hints of plum pudding and warming spices, what’s not to love! Definitely a whisky I could drink all day. You could say that distilling is in my blood and it’s so great to be able to produce one of my favourite drinks. A fantastic drop that reminds me of all the good times I’ve had in Scotland. 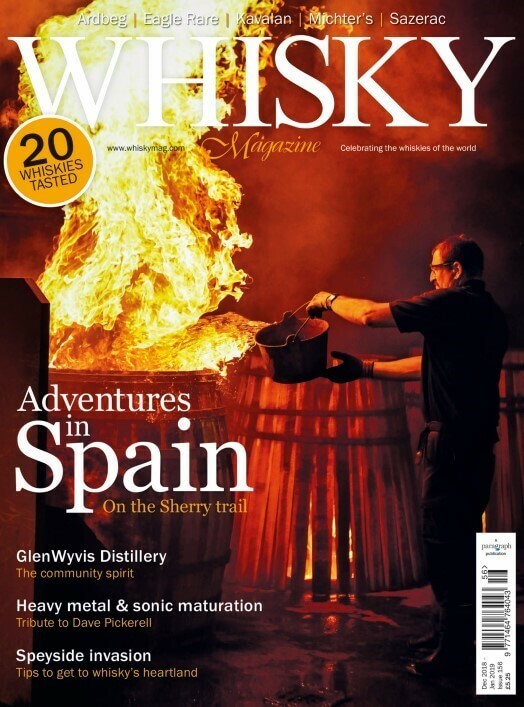 I have a strong connection to Glenfiddich and love the distillery and it doesn’t hurt having very fond memories of being there with dad sitting on top of the solera cask having a taste straight out of the vat! There are heaps of new Australian distilleries popping up but this one has been going since 2009 and is producing some really amazing whisky that has that classic Australian richness to it. I’m super passionate about the Australian whisky scene and there are so many to choose from. Riverbourne is one to look out for, it’s run by a great guy that decided he needed a ‘project’ to keep him busy after he retired a few years ago. In his 70s, Martin would be one of Australia’s oldest distillers, his first release is sold out now but I’ll be stalking his website to make sure I get a bottle of his next release. So rich, so sweet, it just goes down way to easy and is one I’ll reach for quiet regularly. I’m not a huge fan of traditional rums but the final maturation of this dram in rum casks adds a certain vanilla and brown toffee character that really works. Being stuck on an island it’s important to have something that will match the environment. Definitely to be drunk while fishing or idly staring into the fire and certainly guaranteed to placate any pirates who might drop by for a dram. Well if you only get to take five bottles, I’d have to throw this into the mix. Although it won’t be released until 2019 I’d take the barrel to make sure it doesn’t get too woody….it is already shaping up to be a cracker. On a deserted island it certainly has a place for that moment when you need something just slightly different, to put the fire in your belly and keep your hope of rescue alive. One would be so hard to choose, I would definitely need a stack of good books and a pile of nanna blankets! A nice crystal glass to drink out of wouldn’t go astray either. A sketch book with some good pencils….or maybe my husband…no wait I’ll leave him behind if I can take another whisky….Highland Park 25?